Promotional advertising items have been used for about a century. Company owners use them to cordially spread their advertising message to their customers and to the general public. 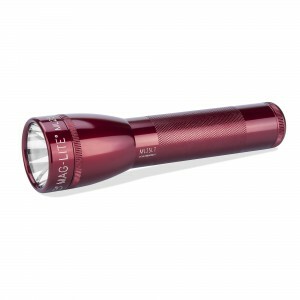 Promotional advertising items are the pens, calendars, flashlights and coffee mugs that are around us all the time. They are the only form of advertising that is truly “appreciated”. When most other forms of advertising may be considered intrusive and annoying, promo products are welcomed by all recipients. 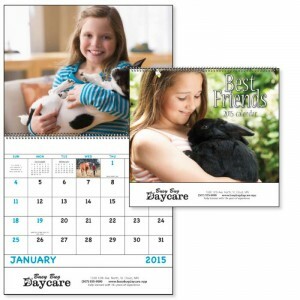 Promotional pens and calendars could be called “trojan ponies” by advertising companies. Little by little, they carry your advertising message and logo to the people who may become your customers. Why does your boss want you to order them? Let’s face it, he’s busy running the company. He trusts that you can pick the details, the imprint color, and the size of the product. You can rely on the help from promotional product distributors to accomplish this fun job. When the order is done, your boss and sales force can pass them out at the next trade show. And they have you to thank for making the ordering process a success. Some of the most popular items are MagLites®, BIC pens, Lufkin tapes, wall calendars, Thermos water bottles, Leatherman tools, and pocket knives. Almost nobody comes in your door. None of your customers refer new customers to you. The days that businesses around you are busy, yours is not. People say that you are not spreading good will. The chamber of commerce never heard of you. There are no calendars in town that show your company logo and phone number. No refrigerator in town has your logo on a magnet. Notepads and sticky notes are all over town, but none of them has your company logo. People wonder if you are still open for business. If these points sound familiar to you, it’s time for you to turn things around. Make your business noticeable, and spread your good will. Pump up your business to a level that it deserves. Promotional advertising items can be a worthwhile investment in your income. When you order pens with your logo, and intend to pass them out to employees, customers, and trade show visitors, here are some important tactics. You should use these ideas to better promote your company. Give a quality pen, not a cheap pen. A pen that doesn’t write, or breaks easily, will do you more harm than good. Put your client’s name on the pen. He will appreciate it 10 times more than a pen with just your logo. Order pens that utilize your own corporate colors. This keeps your image consistent. Actually distribute your pens. Your advertising investment does you no good sitting in your drawer. You’d be surprised to hear some business owners say that they protect their pen supply because it cost them money. 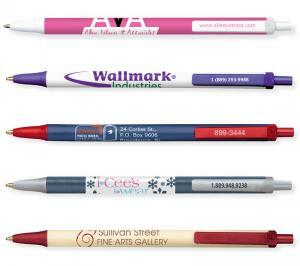 Use personalized pens at trade shows to propagate your good will, company image, and corporate logo. Use personalized pens when calling on prospects, to help make them become lifetime customers. Give personalized pens to your employees to firm your relationship with them, and to strengthen your team. Writing instruments now come in a wide variety of colors. Your imprint colors can match the trim on the pens if you want. Your phone number can also be imprinted by itself, on the clip of some BIC pens. You can use your creativity to design a retractable pen or stick pen to reflect the tone of your company. If you need some help, just ask your promotional products distributor for ideas. They have the experience to develop what you are after. At your trade show table, don’t just leave pens on your table and wait for prospects to pick one up, and expect the magic to start. Hold a few pens in your hand, and pass them out to people walking by. Now you are using the pen as an ice-breaker to start a conversation with a possible lifetime client. Sales Calls: When you visit a prospect or client, always present them with a pen, or other promotional item. The average life of a business card is about 5 minutes. A good pen will last a lot longer, and promote good will, and is a useful instrument. Employees: Don’t forget your employees. They can benefit from a sincere gift, like a pen from their boss. This will promote good will, and can be used to introduce a new department, or process. You can add a message on the pen, after your logo. You don’t need to wait till the yearly company picnic. A higher-priced gift pen can be personalized with the employee’s name, and given as a safety or service award. Do you have more ideas? Please leave a comment here! Thanks.